By the latter half of the nineteenth century, it was fashionable to send affluent young men to live in the East End as part of their societal duty. One suspects this was partly voyeurism of a class of people who were often regarded as sub-human, but no doubt it also had the effect of disseminating first-hand information about the prevailing conditions in the slums and rookeries. So it is no surprise that some of the newly self-made men of the Victorian middle classes pursued Philanthropy, nor that the poverty-ridden quarter which Columbia Rd became should have come to their attention. 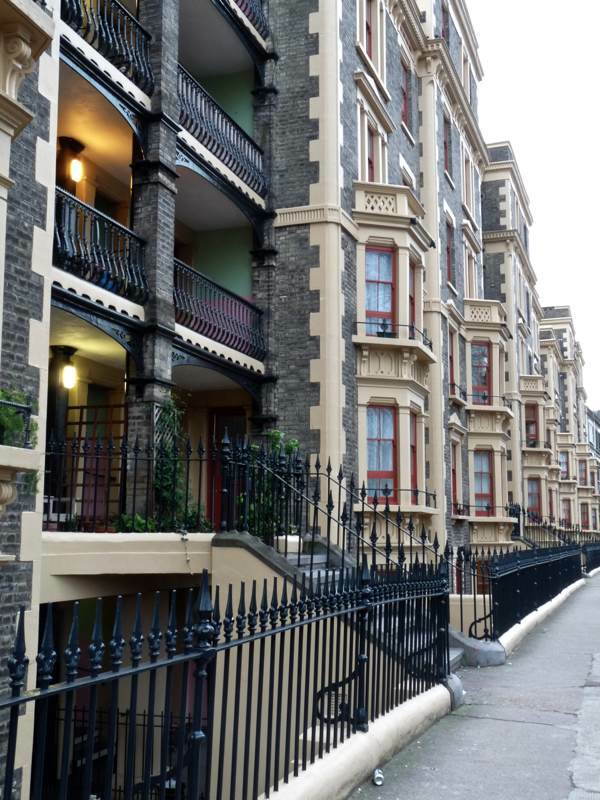 The provision of social housing for the “deserving poor” was begun here by Angela Burdett-Coutts and Charles Dickens who, through the vision of architect Henry Darbishire, built an architectural masterpiece that few can believe ever existed in the East End. Photographs cannot do justice to the sweeping majesty of this series of buildings which rivalled any of that era. Part market complex and part housing scheme, this vast structure has been replaced today by Sivill House and the flats around it that comprise Market Sq. As a market, it was a spectacular failure and the housing element hardly fared better. Purposely built with ill-fitting doors and no glass in the corridor windows, they were an icy, inhospitable series of dwellings. The basement and other parts of the structure were damaged by bombing in World War Two. It was certainly salvageable yet, despite protests at the time, the entire complex of buildings was demolished in the nineteen-sixties. The next tenement block to be erected was Leopold Buildings in 1872, by the Improved Industrial Dwellings Company. Built upon land leased by Angela Burdett-Coutts, the block was run on similar lines to Columbia Sq with a strict selection and discipline regime, thus ensuring a healthy return on investment. It housed one hundred and twelve families and was of such individual design that, in 1994, the block received a Grade II listing. 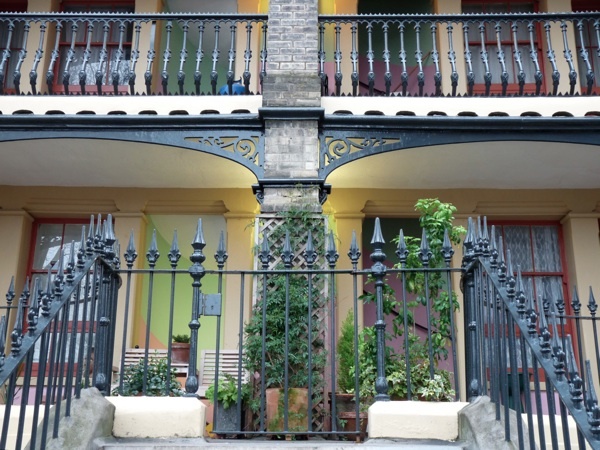 In 1997, the premises were upgraded and refurbished to a high standard, and today they enliven the otherwise architecturally bland west end of Columbia Rd. 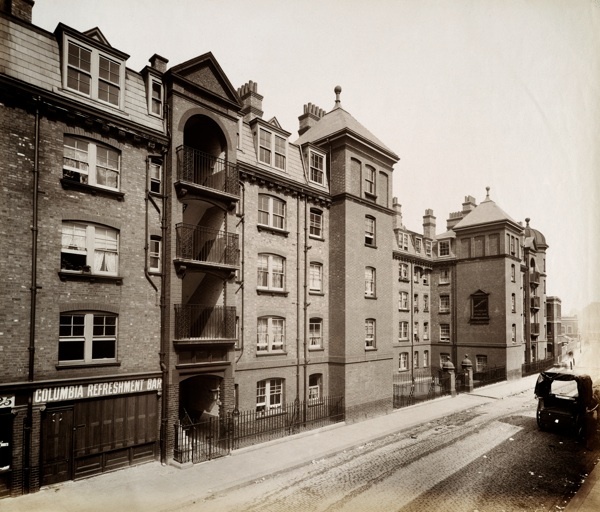 Finally, Ravenscroft Buildings, which stood where Ravenscroft Park sits today was built in 1897 and comprised one hundred and ninety-four flats. 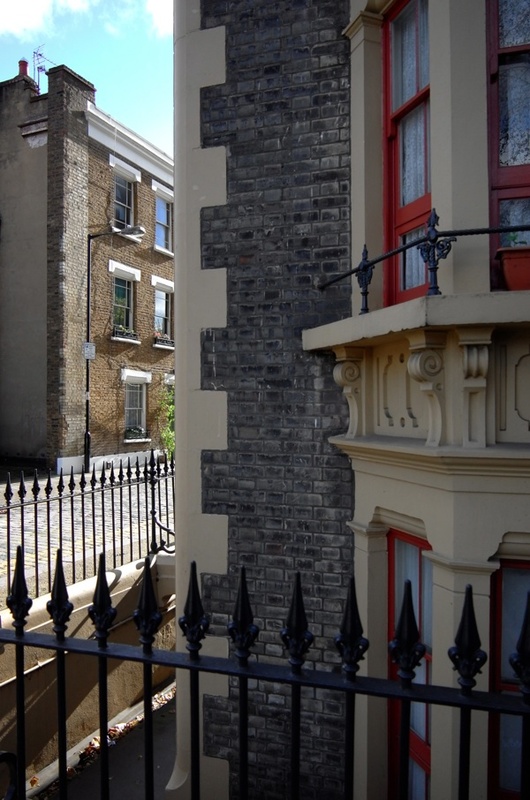 It was built around three sides of a rectangle to a height of five storeys. Designed in an ornate style by Davis & Emmanuel, it has not survived and the only extant photograph of the front is the one below, taken in 1898, probably from the Birdcage Public House. Amazing and very sad to hear bout Columbia Market – but v interesting too. I heard some top architect or another describe shop below / living above as the single most conducive approach to building communities. Hi Linda, love all these posts which are educating me about a place I have known for years but had very little idea of it’s history . Have you had a chance to see the Bell Jacks yet which were rescued from the roof of the old market ? They are now stored by English Heritage at their new Archaeological museum , Wrest Park , Bedfordshire. Would be good to get them back to Columbia Road??? Looking forward to tomorrows post already ! Thank you again Linda for your fascinating insight into the history of the area around Columbia Road where I grew up. 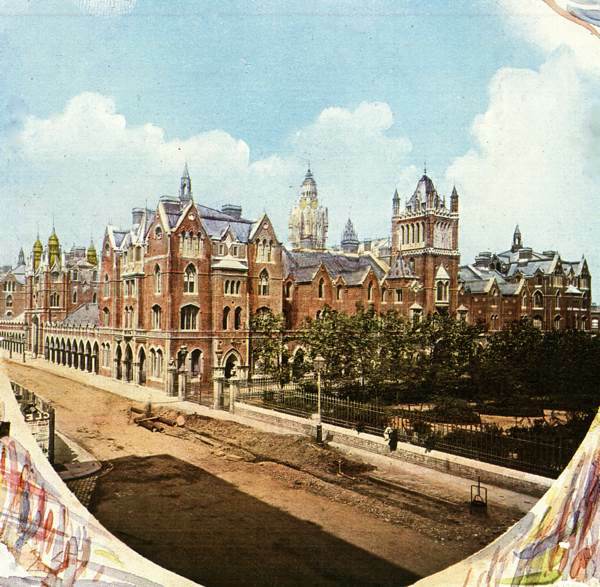 I remember the Columbia Square tenement (which we used to call the Black Buildings) being derelict until their demolition – such a pity it was never viable for housing as architecturally it was surely on a par with St Pancras Station. I’m so glad the Bell Jacks were saved, picture here http://www.pmsa.org.uk/pmsa-database/1316/ which says they are on loan from English Heritage and located at Tower Hill Terrace in London. Wish I’d known that before my last visit to see the Tower poppies! Angela Burdett Coutts grave is worth a visit. It is in St Pancras Church Cemetery, just north of St Pancras station – a beautiful zigurat with glazed tiles of flowers. Thank you from me too Linda, I so much enjoy learning about the history of the East End. 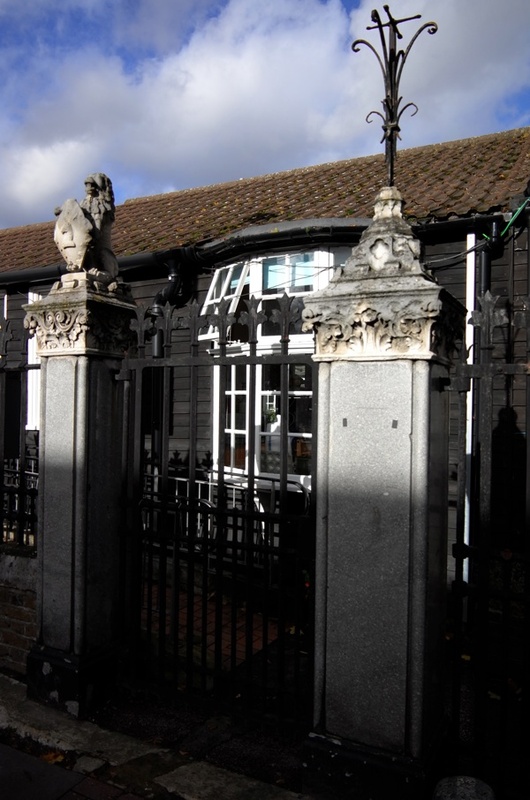 I did not know about Charles Dickens’ connection with Angela Burdett-Coutts before but I have recently discovered, from the memoirs published in the 1950s of a lady who was then aged 103, that Dickens was a visitor at the home of Frederick Greenwood, and that she had met him there. All this interests me as Frederick Greenwood was also concerned about the plight of the poor in London, and he and his brother James, who wrote an article about a night spent in Lambeth Workhouse, were members of my Greenwood family. Frederick Greenwood was the editor of the Pall Mall Gazette and he published articles by Charles Dickens I believe. Someone mentioned, on here recently I think, the strong pull that there is when you have ancestors from areas of London and I agree. I have never lived in London myself but all my father’s family came from parishes close beside the River Thames, and I definitely feel the pull!! All these fascinating insights into history interest me so much so thank you again. I attended Columbia Road School from 1943 until 1948 when Mrs Smith was the ‘Milk Lady’, Mr Nelson was the Headmaster and Mr Evans was the Caretaker. Other teachers were Mr Bridel, Miss Clark, Miss Doe, Mr Hawkins, Mr King, Mrs Munns and Miss Johnson. Very good photos. 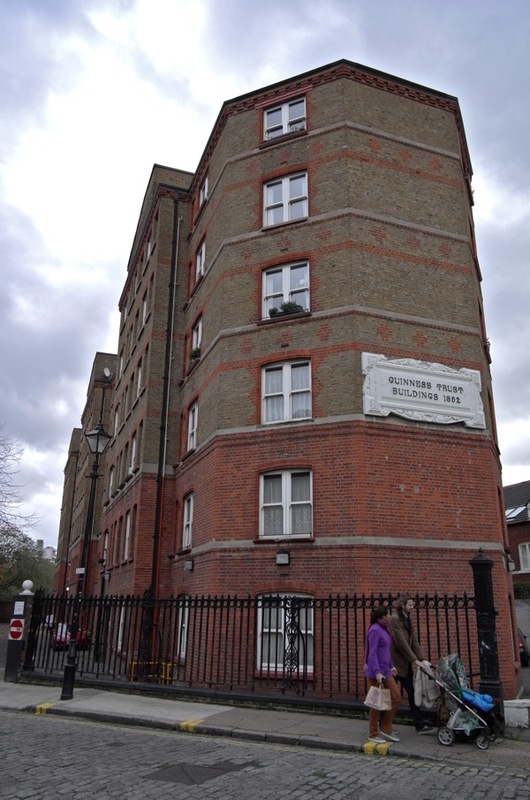 I lived in flat 9 Ravenscroft Buildings from about 1945 until about 1955, and attended Columbia Road Primary School. My mother’s sister lived in flat 12. 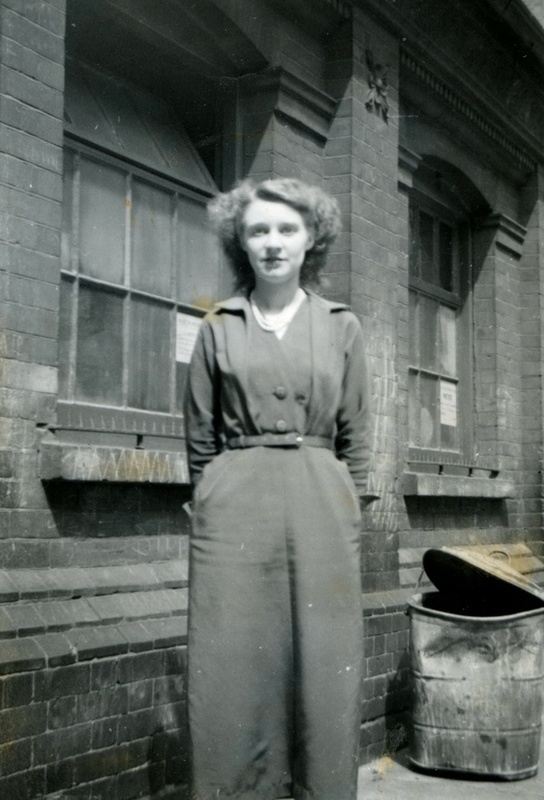 She was a war widow and married David Evans who was the milkman from Jones’ Dairy, Ezra Street. The families all now live in Norfolk. My name is Brian smith and I lived in 144, Ravenscroft buildings from 1945 until 1951. My friend Barry Gad lived in the block next door, my grandad Mr Lee owned the wet fish shop on Columbia Road, called lee’s and as far as I know it is still called lees. I attended the primary school opposite and remembered sleeping in the main hall, on camp beds in the afternoon, and also went to the Odean cinema on Saturday mornings paying 6 pennies for entry. Any comments! Please could you tell me who did the illustration of Columbia Market and in what year. I lived in Ravenscroft buildings on the second floor directly opposite the bird cage public house. I had two brothers John and Brynmor, parents John(jack) and Elsie, my Gradparents lived in the middle front their names were Charles Gray and Nell. I was also sent to Harry Blanco’s to get flour from a barrel packed into a blue paper bag. Does anyone remember any of this or my family. in the war. So glad the Bell Jacks have been rescued. I lived in the Columbia square buildings from 1949 – 1952 when my uncle and aunt moved into our ground floor flat. We used to visit often and I remember well how awful the place was with dark corridors and shared toilets. The square where the market had been was where we played and seemed to have a lot of broken glass. My uncle had previously lived at 99 Ravenscroft buildings. We would go to the top of one block andgo over the roof and come down the block next to it . Really naughty. I also went ti Daniel Street school. I lived in Ravenscroft Buildings from 1935 – 1965 at no27 then when I got married we moved to no34. I used walk across Columbia road to Bendon’s where I worked til 1965 from the age of 13. We lived in no27 with my parents John (known as jerry, when he worked in the birdcage pub) & his wife Ada, my brothers John,Brian & my sisters Helen & Joan. I now live in Norfolk. Yes i lived in Ravenscroft Buildings Born there in 1947 left there in 1950 to move to Harold Hill Dagnam Park Drive in the Buildings i lived at Number 100 it was the good old days. Hello, does anyone remember the Banfield’s who lived at number 8 Ravenscroft Buildings? They were my great grandma Catherine, her husband Charles and their children Peggy & Charlie. This would have been from 1920s onwards I believe. My mother Wendy & her brother Kenny also lived there briefly in the early 50s and attended Columbia Road primary school. Please get in touch if you recognise any of the names. Thank you. My parents ( Irene and Harry Saunders ) moved into 157 Ravenscroft Buidings in 1954 when I was eighteen months old and lived there until 1958. I have vivid memories of playing on the Bomb sites surrounding the buildings and sitting in my high chair watching very early TV ( popeye was my favourite ). The flat had two rooms, front door into lounge/kitchen and a door off this room to the bedroom. The toilet and bathroom were outside the flat, up the stairs and on the next floor shared with three other flats ( four in total ). This caused many aurguments with other tennants as my father always spent a lot of time in there! My parents ( sadly both now passed on ) moved from Ravenscroft Buildings because of me… I was playing outside across the road and ran back accross without looking ( traffic was very rare ) and I was struck by a commercial van which caused a severe head injury ( fractured skull ). A policeman carried me back to the flat. When I came out of hospital my parents stayed a little while longer then we moved to Chadwell Heath. I have a picture of me outside the building at the back by the stairs in my pushchair/pram grinning like cheshire cat. I can recall many arguments between tennants mainly over noise and toilet use. A tough place to live and tough people living there..God bless all of them… Jeff Saunders . And moved to eagle dwellings city road then to Victoria chambers off old street. I now live in Wallington surrey. I brought a book in a local charity shop by Edna Healey the wife of Dennis Healey the labour mp. 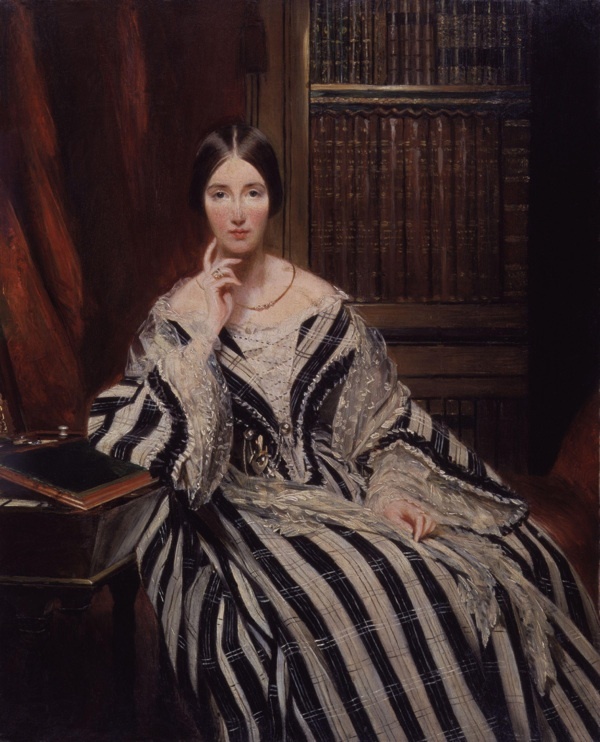 This book called lady unknown was about Angela burdett coutts the Victorian bank heiress. 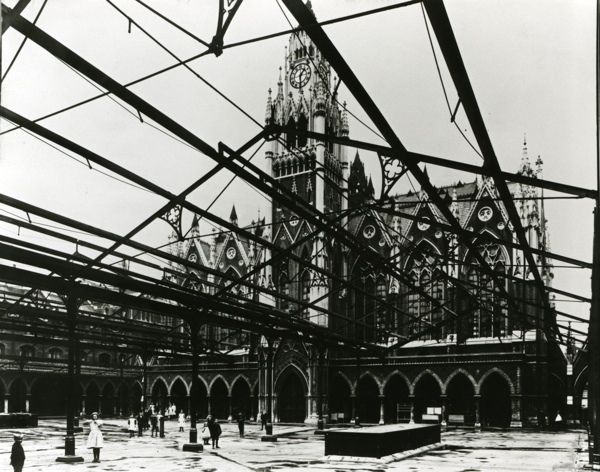 The fact she had put up some of her capital to have Leopold and Columbia market buildings erected and the Victoria park fountain. Yes she was a mutual friend of Charles dickens who through his novels highlighted the problems and social injustice issues. Of victorian society .Burdett and baroness road in the EastEnd are named after her. She was a very wealthy woman a so called do-gooder but she had a social conscience I think and tried to help the less fortunate in the parti ular era. 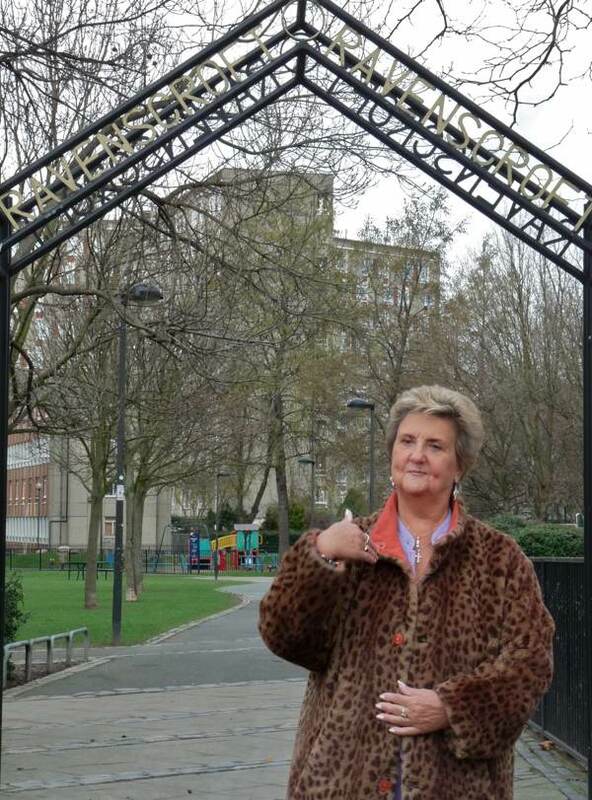 Hi Carole I came from Shoreditch do you recall Gladstone buildings willow street and albert buildings leonard street. As you mention Victoria chambers in your comment. I lived in Gladstone buildings myself in the 1960′s. Victoria chambers are the only ones still standing now. And have been all done up inside and are selling for over £300.000 a two bed flat I believe. Yes emily I knew about Victoria chambers and i recall the other buildings you mentioned. Took a drive up to old street once we couldn’t believe how it has changed all those tall blocks of flats in city road. So busy there now. We moved to surrey in 1977. Hi, does any one remember Ada and Claire Howard 2 sisters that lived at the top of Ravenscroft Buildings, think it was number 20 then they moved to number 2. Which was in like an alley and at the end was a ladies hairdressers. They were very good friends of my mums and I use to call the my aunts. We use to visit them quiet often. They also had 2 nephews frank and Steven who also visited quiet often. I just wondered if anyone remembered them and had any photos of the old buildings. I lived with mum dad and brother tony from when I was born in 1951 until we moved a few streets away in 1966. My maiden name was Sheppard and we lived in the very last flat 192. Over the years we went from one room to a conversion of all rooms on our landing. 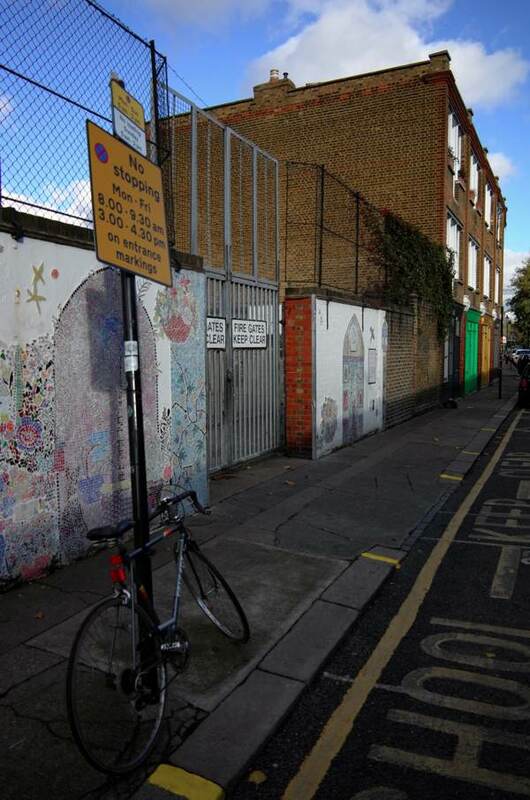 We went to Columbia road school and I too remember taking a nap in the afternoons on a little camp bed! Jeffrey Saunders do you remember us? Are there any known photo’s of Columbia buildings where I lived with my large family. We used to climb the clock tower in the square as kids? 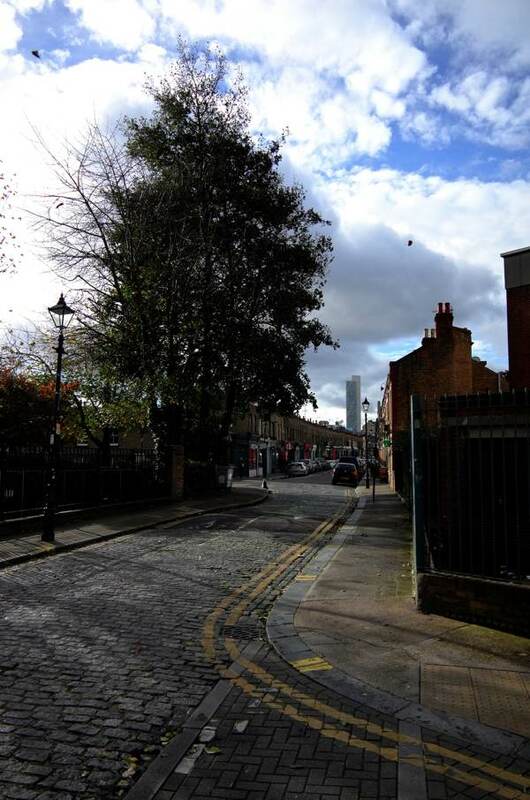 We lived at Columbia square buildings from mid 1940′s to 1957/8 then moved to Northesk Hse Brady st Whitechapel. 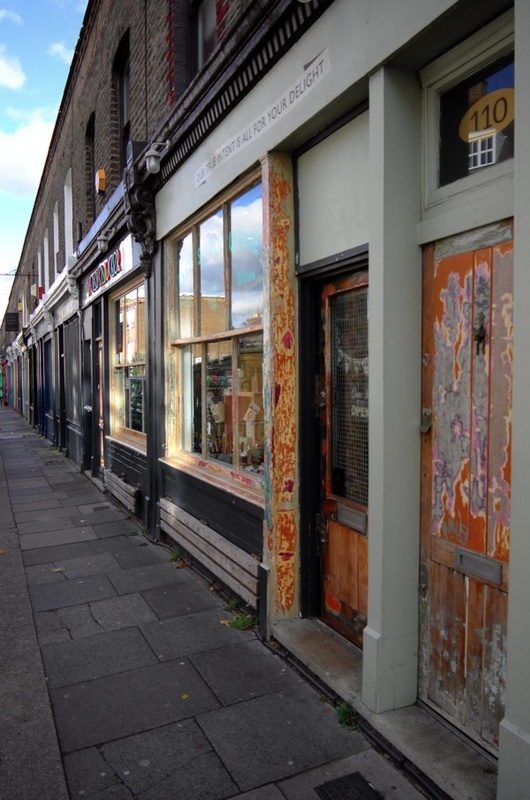 I attended Columbia rd school and remember Booths sweet shop opposite. 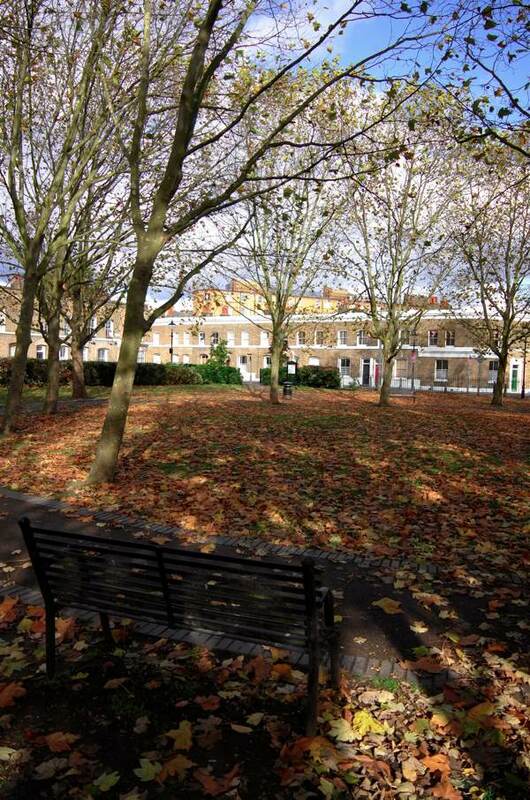 My grandparents used to live at Hadrian Estate in Hackney rd. I left a comment before. Just to say I lived in Guinnesss Buildings, and sat next to your brother Tony in school. Thank you for all the wealth of memories you have provided.